Today, I’m spoiled for choice in terms of foundation shades (Armani, Clinique, even Algenist make my current favorite shades and textures), and I’ve pretty much got my eye look down (neutral shadow, black liquid liner in a puppy eye downturn, whatever mascara’s around). I’ve even found a new lip look that I adore. But brows — that I’ve been struggling with for some time now. I attribute it to that black hole in my brain — that same vacuum that has absconded with my abilities to remember driving directions, comprehend anything to do with economics, and do hair. In fact, one could argue that my ineptitude in hair extends to the hair on my brows. Choosing products in a lighter brow color. 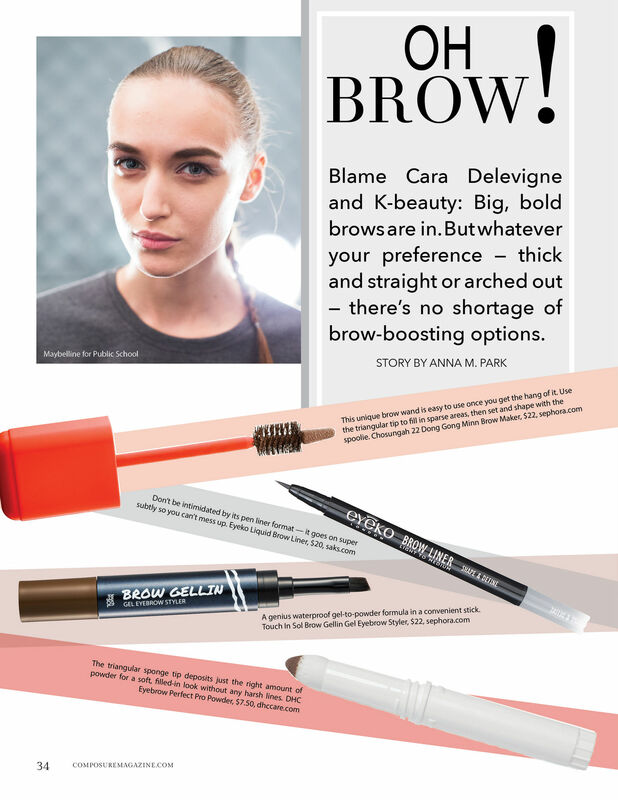 Most brow pencils and gels look darker on dark eyebrows, so I usually stick to dark blonde or light brunette shades. Outlining the top of my brows. I know most American makeup artists advise outlining only the bottom of brows, but most Asian makeup artists seem to outline the entire brow, especially for thick, straight Asian brows. Not trying to achieve the perfectly straight Korean eyebrow. My brows just aren’t shaped that way, and trying to force them into that shape results in weird caterpillar brows. So I compromise — they’re not perfectly straight, but then, neither is Jeon Ji Hyun’s. 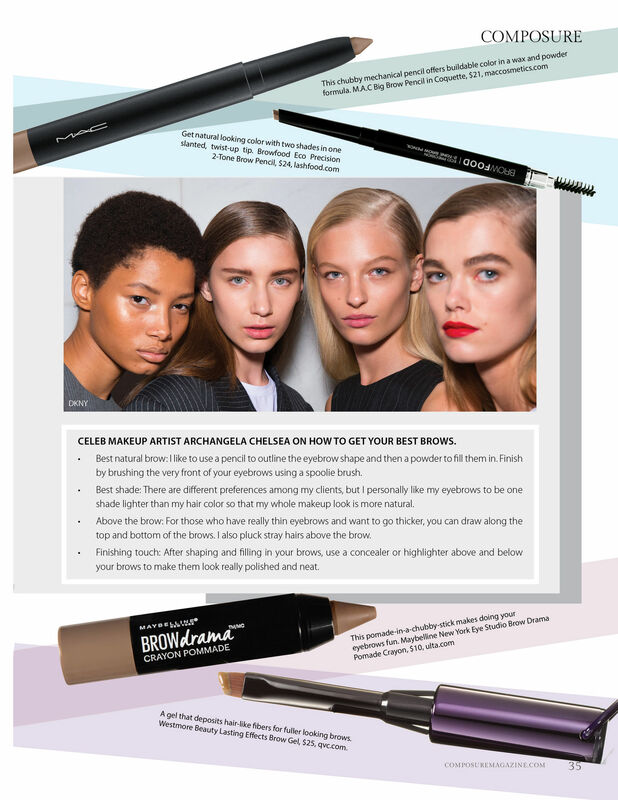 Best natural brow: I like to use a pencil to outline the eyebrow shape and then a powder to fill them in. Finish by brushing the very front of your eyebrows using a spoolie brush. Best shade: There are different preferences among my clients, but I personally like my eyebrows to be one shade lighter than my hair color so that my whole makeup look is more natural. Finishing touch: After shaping and filling in your brows, use a concealer or highlighter above and below your brows to make them look really polished and neat. 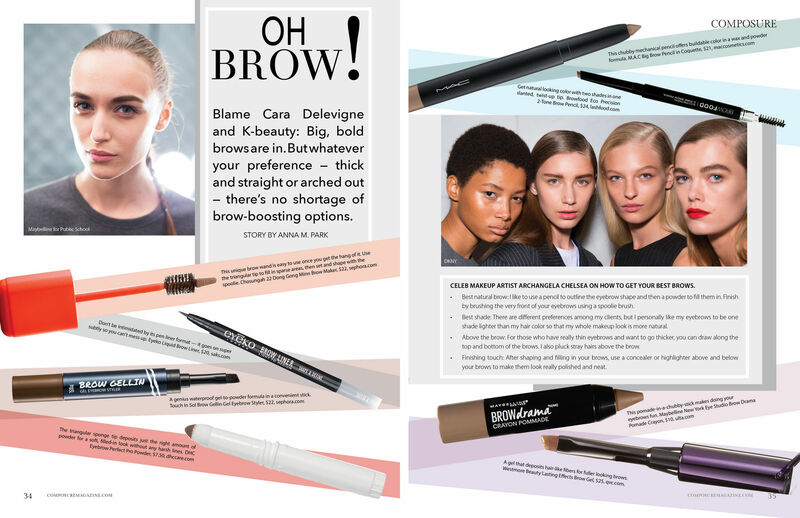 It helps that I had a lot of brow products to test out for my latest story in Composure Magazine. Here, the ones that made the cut in the latest issue.